Paul and Rodah Mbandi live in Machakos, Kenya, where Paul serves as the Deputy Principal of Academic Affairs at Scott Theological College. Paul’s main role is to ensure quality training, facilitate educational growth, and guard academic integrity. 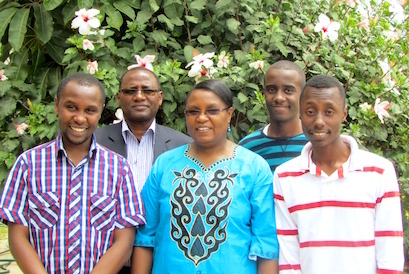 He also conducts leadership seminars throughout Kenya in the areas of biblical preaching, leadership, and management. Mission partners Paul and Rodah Mbandi continue their faithful ministry as Kenya’s cooler ‘dry season’ (June-October) marches toward the ‘short rains’ of November and then into the hot dry season (December-February). Rodah is grateful for some relief of significant back pain after numerous chiropractic treatments, but is still limited in her work load. She asks us to pray for continued improvement and strengthening in her back, even as she continues to carry on her responsibilities as wife to Paul, mother to Josh, John and Alex, and teaching ministry to many. As sons John and Alex are back in school, and Josh continues to live at home, enjoying his job, the Mbandis also ask that we join them in praying for spiritual growth in their family. Paul rejoices in the opportunities God has provided for him to network with Nairobi pastors to discuss how to train leaders. 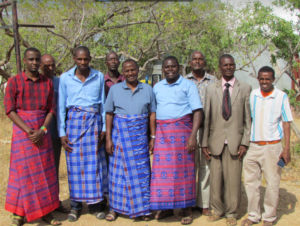 He continues to teach seminars for Kenyan pastors, many of whom lack formal theological training. He asks us to pray for continued wisdom in teaching seminars and for creativity in reaching out to pastors with the goal of equipping them for biblical and Christ-centered preaching. They report that a highlight of this past season was a mission trip to Korr, Marzabit in July. The purpose of the trip was two-fold: 1) to train pastors in that region in biblical preaching and 2) to launch a tent-making project for some of those same pastors. A team of four men—Paul, Pastor Jackson Mutie, Pastor Raphael Musau, and Paul’s son Alex—made the ten hour drive to Korr. They were met there by Pastor Mathew (Korr mission coordinator) and twelve pastors and an evangelist from five different denominations who had gathered for training. Many of the Korr pastors said that this training had changed their approach to the church ministry, especially preaching. The second part of the trip focused on the tent-making initiative. The MALDA missions team was able to deliver to the pastors a three-wheeled vehicle to be used for transporting water from a borehole in Korr town to many nearby manyatta (nomadic villages). Pastor Mutie spoke to the pastors about entrepreneurship, faithfulness in handling communal resources, and hard work. 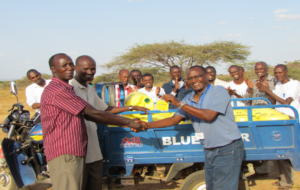 As the vehicle was handed over to the pastors for use in their own tent-making pursuit, Pastor Mutie challenged the men to follow the apostle Paul’s example as teacher of God’s Word and a tent maker who worked very hard. The trip concluded with a Sunday gathering when the pastors were joined by their families for a time of communal worship through singing, prayers, and giving. Paul preached to the men and Pastor Mutie preached to the women as Pastor Musau and Alex ministered to the youth. Each group responded eagerly to God’s Word and expressed a desire to hear more such group teaching. Dear Crossway friends, God is building His Church in Kenya. Just as He has called the Mbandis to labor on the front lines there, He has called us to labor in prayer for the work He is doing. Let our Almighty God receive all the glory!